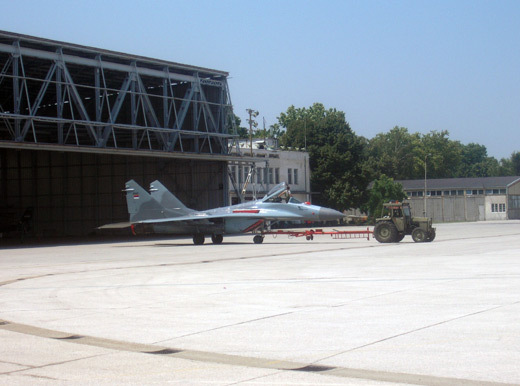 Batajnica Airbase (IATA: BJY, ICAO: LYBT) (Serbian: Аеродром Бaтajницa / Aerodrom Batajnica) is a military airbase in Serbia. The airport is located between the town of Batajnica and Nova Pazova, some 20 kilometers northwest of Belgrade. Batajnica is the only airport in Serbia with two asphalt runways. Construction of the airbase started in 1947 and was completed in 1951, when the airbase was officially opened. The purpose of the airbase was to protect the capital from attack. One grass and two asphalted runways are used. 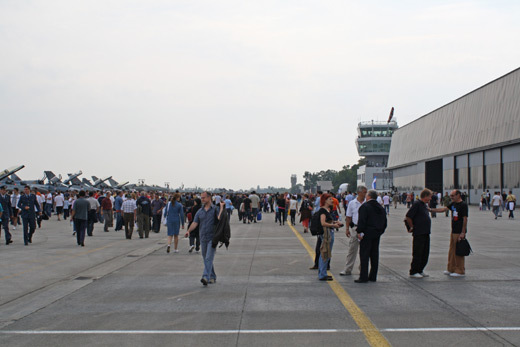 It was known as 177th Air Base, which was its name until the 2006 reorganization. 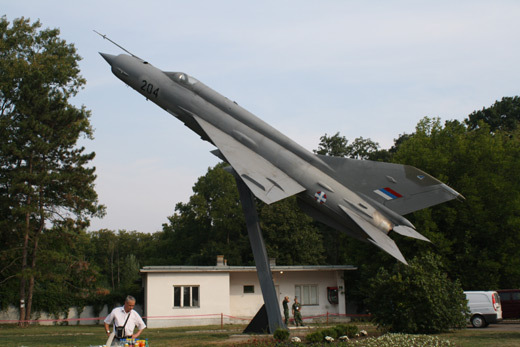 Batajnica was home of 204th Fighter-Aviation regiment, 138th Transport-Aviation Regiment and other units of Yugoslav Air Force. During the 1999 NATO bombing of Yugoslavia the airbase was heavily bombed for 25 days and sustaining heavy damage. In June 2006, two USAF F-16 fighter jets, visited Batajnica airbase. It was the first official visit of USAF aircraft in more than 20 years and the first since the bombing. 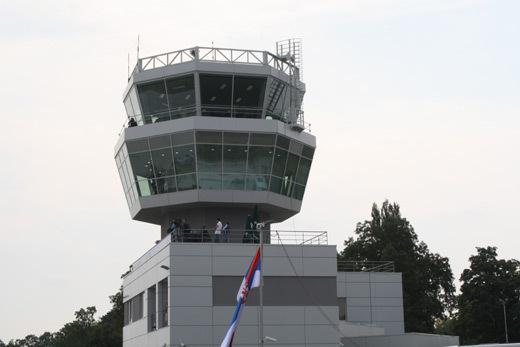 Civil aviation authorities in Serbia have speculated about the possibility to transform Batajnica to accept commercial flights from low-cost carriers at some point in the future. 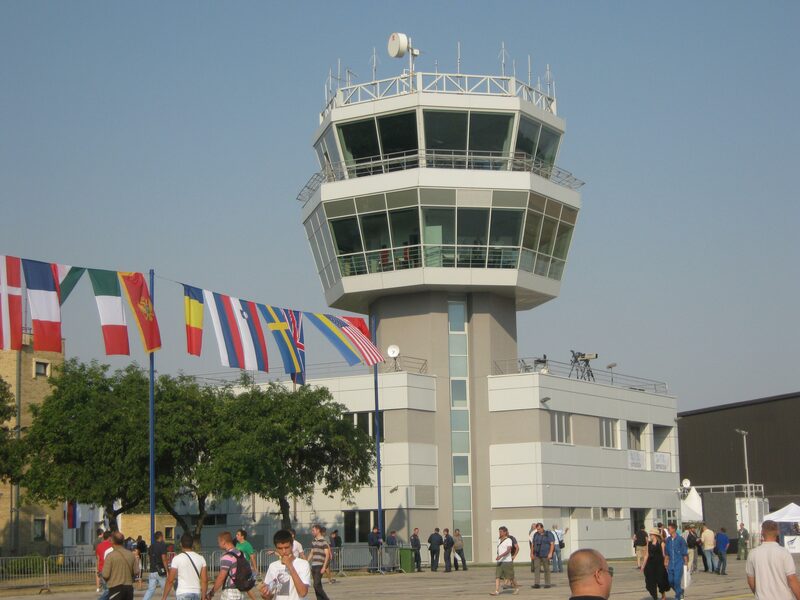 Proponents argue that the air base is more ideally located than the neighboring Belgrade Nikola Tesla Airport, just a few kilometers away, because of its close proximity to the E75 highway and direct rail link to the city, as well as its more favorable weather conditions. Under the proposal, the airbase would serve a dual purpose and continue to serve its military purpose but ownership of the airport would be transferred to the city authority.